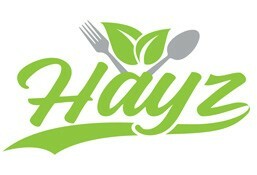 Hayz is currently closed for delivery and it will open at . Wrapped in whole wheat tortilla bread! Mixed beans, corn, onion, red bell peppers and carrot, fresh coriander saute with tomato sauce mixed with a choice of avocado or baked sweet potato. 250 grams of lean grilled chicken breast. Recommended sauces : spicy tomato salsa, marinara or mushroom. 250 grams of juice lean steak grilled to your liking with a choice of black pepper or oyester sauce. Spinach, avocado, banana, low fat milk and a pinch of honey.